A server is a device that connects users, hardware and software together in an IT system. We’ll focus specifically on the costs and processes involved in using servers for small businesses. Or, if you’re ready to compare quotes for IT support now, just fill in the form at the top of the page. 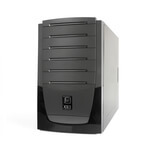 Tower – a free-standing server housed in a cabinet that looks like a PC tower. Rack – a rack server can hold multiple servers in a mounted storage device. Blade – a type of server that offers high volumes of server capability on individual blades (circuit boards). Tower A free-standing server housed in a cabinet. Rack A mounted storage device holding multiple servers. A device that stores data files, this type of server doesn’t have an operating system installed (such as Windows or Linux). This means that you can use the one that best matches your company’s requirements. Offering a quick set-up process and a pre-installed operating system, network attached storage (NAS) is a device that stores shared data. How much storage or capacity do you need it to have? This refers to disk space as well as the type of central processing unit (CPU) and random-access memory (RAM). How many users does it need to support? While you’re likely to only have a few people using the server in the beginning, as your business grows you may need a server that can accommodate more users. Where will it need to be stored? For many small businesses that are likely to use a tower server, it’ll be stored like a computer or workstation and will require minimal floor space. How will data storage be managed? Depending on the type of server you choose, this may be at your premises or on the cloud. Does it offer virtualisation? Some servers offer this capability, which is when one server can be divided into multiple virtual servers. This type of server is called a virtual private server (VPS). Generally, a tower server or a NAS will be suitable for most small business’ requirements. This is because they offer an easier set up process and storage requirements. Plus, they’re more cost-effective and have a capability that matches a limited amount of users. 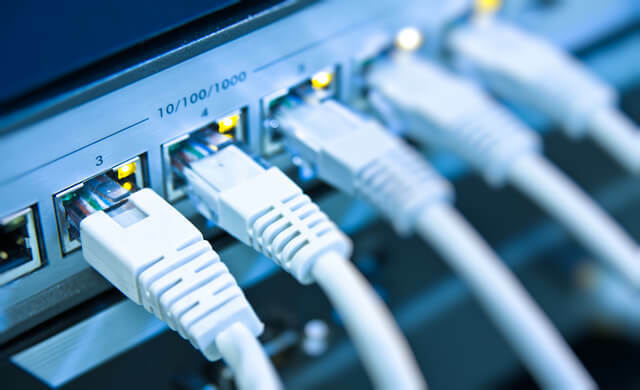 A server that can support up to 15 users, for example, is likely to be sufficient for most start-ups, however if your business grows beyond this then you may need to consider a different type. While it’s difficult to give a specific amount as there are lots of variables involved when choosing a server, such as the cost of the hardware itself and the type of server, we’ll aim to provide a rough idea of what you can expect to pay. Hardware – what’s your budget for the machine itself? Storage – where will it be located? Protection – how will it be kept cool or protected from fire risks? Management – how will the server be maintained and serviced? How the server is constructed will affect the price too. Solid state drives (SSD) have fewer moveable parts and are quicker and more robust, so they’re a more expensive option. Alternatively, mechanical hard drives (HDD) are cheaper. Here is an approximate price guide for buying a server, depending on your budget. Note that when you buy a server (as opposed to building a server from scratch) there may still be some parts that need to be built. 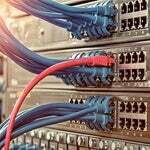 Servicing – does your chosen server include the infrastructure and servicing? If so, there may be charges for managing the server, in addition to the purchase price. These can vary depending on the operating system, how much storage it offers and the type of infrastructure used. Operating costs – the server will need to be located somewhere. For small businesses, this is likely to be on a desk or workstation, similar to a PC. It will need electricity to run, as well as to be ventilated. Business electricity charges will depend on your supplier. For an approximate figure, consider the wattage of the appliances, the unit price of the electricity and the length of time it will be in use. Remember that you’ll need to update your server from time to time as the technology changes and develops. Customer support – Is it included and, if so, what level of assistance is provided? This may be initial set-up assistance or ongoing support as and when required. Also, think about the times of day and format (such as live chat, email or phone) it’s available in. Similarly, check which time zones support staff are located in and find out the standard response times, if possible. Backup and contingency plan costs – Data should be stored on more than one server and in different locations. For example, you could use a physical server and backup data on the cloud too. Ideally, backup data should be off-site or on a different server, in case of damage to your premises or compromised cyber security. Cyber security – This includes the costs of antivirus and firewall software to protect your server against malicious cyber activity. At this point, you’ve learned more about the different types of servers. We’ve also provided information about the costs and considerations that you should take into account as a small business owner when making your selection. For more information, you should speak to suppliers – Startups.co.uk can help with this. Simply complete the form at the top of the page to compare quotes for IT support.